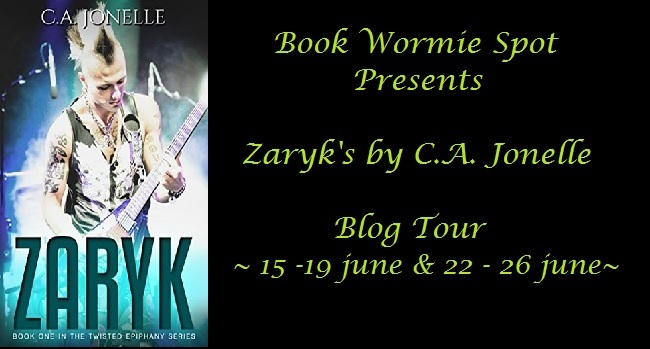 Book one in the Twisted Epiphany series, Zaryk follows the story of the titular character, Zaryk Hunter, as he attempts to piece his life back together after the tragic death of his little sister. Years after the fatal accident, Zaryk is on the cusp of success with his band Twisted Epiphany, but he still can’t shake the demons from his past. Instead he drowns his memories with alcohol and partying. 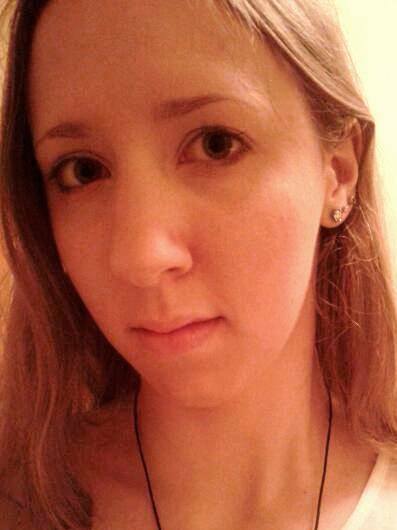 Lyndsay is the most beautiful woman Zaryk’s ever met. He can’t help falling for her - she gives him hope that there can be happy endings in life after all. But one night of drunken passion ruins everything and misunderstanding drives them apart. Will things ever work between them? Or will Zaryk’s growing fame and Lyndsay’s insecurities keep them apart forever? Before I get started, I should just quickly point out that I received a free copy of this book to review as part of the Zaryk blog tour. I was also lucky enough to interview the author, C.A. Jonelle. You can read the interview here. Anyway, now for the review. Zaryk pleasantly surprised me. Sadly, good quality writing is quite rare in this genre (contemporary romance) so it’s great when you discover a well-written gem like this, especially from an indie author. And, even better, it had an engaging storyline and interesting characters as well. The fast pace kept me reading on – there were just enough hooks in all the right places to keep me interested and pique my curiosity. The author drags us into the action right from the very start, meaning you’re instantly hooked. I had to know what was going to happen and as it turned out I ended up finishing the whole book in less than a day! To begin with, the set-up really intrigued me. 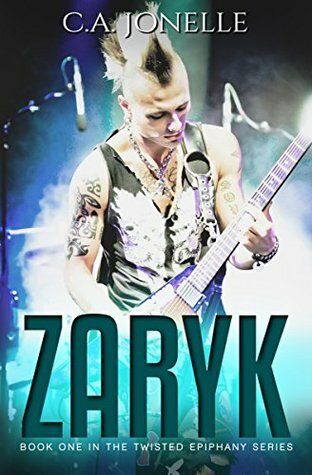 Although Zaryk is in a band, the whole band aspect took a backseat which allowed the book to really be about Zaryk’s individual story. In books like this the rise to fame is usually the key aspect, but here the romance and Zaryk’s relationships were instead. This was refreshingly different and made a nice change, showing that famous people and celebrities really are just like us. Quite often I found myself thinking about the reality of the situation and some of the events, because I don’t think it’s possible for any more bad luck to happen to that family! At points it got a bit too unbelievable, but somehow in this context it didn’t really matter. I was able to suspend my disbelief, forget reality, and just focus on enjoying the story. However, I can’t help thinking that when Zoey (Zaryk’s younger sister) died the others would surely end up respecting and valuing their own lives more? For example, Zaryk wouldn’t be drinking himself into an early grave, and their parents would surely care more about some of the more questionable things the boys were up to rather than just instantly forgiving them. I know everyone deals with grief in different ways, but this seemed a bit too unrealistic for me. Getting on towards the middle of the book, I felt the story started jumping around too much. The combination of suddenly skipping years ahead and simultaneously switching between narrating characters is confusing and disorienting. I think the story could easily have been longer, or even split up into two books to fully explore the events that occur during these long gaps of time rather than just glossing over them with a brief explanation. For all his faults, I actually really liked the character of Zaryk. He’s a celebrity, but he’s detailed, he’s complex, he’s unpredictable… He’s human. On the other hand, I have to admit I’m not too fond of Lyndsay. Everywhere Zaryk excels, Lyndsay does the opposite. She’s too contradictory and she changes her mind from one page to the next. All the fuss about Zaryk’s lifestyle and his ex got repetitive and irritating, and by the end I just wanted to slap some sense into her! But regardless of all that, it was a good book and an enjoyable read. And talk about a cliff-hanger ending! If there was any doubt in my mind, now I definitely have to get the next book when it comes out so I can find out what happens! Zaryk is available to buy now. Zayne, book two in the Twisted Epiphany series, is also available now . 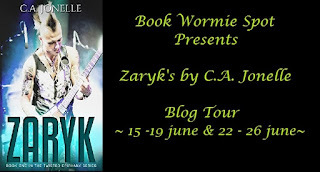 Will you be reading Zaryk? Let me know in the comments below! Definitely - I'd be really interested to read it and I bet a lot of others would too! Does the Minions movie live up to the hype?